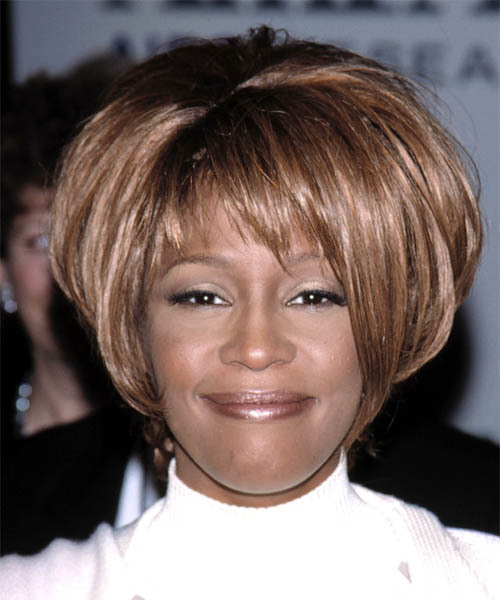 This is a lovely look for Whitney. Her short bob has had jagged layers cut to create more volume and her bangs have been left piecey. This style is easy to maintain with regular visits to your hairdresser. Spray a small amount of hairspray into your roots for volume and hold.